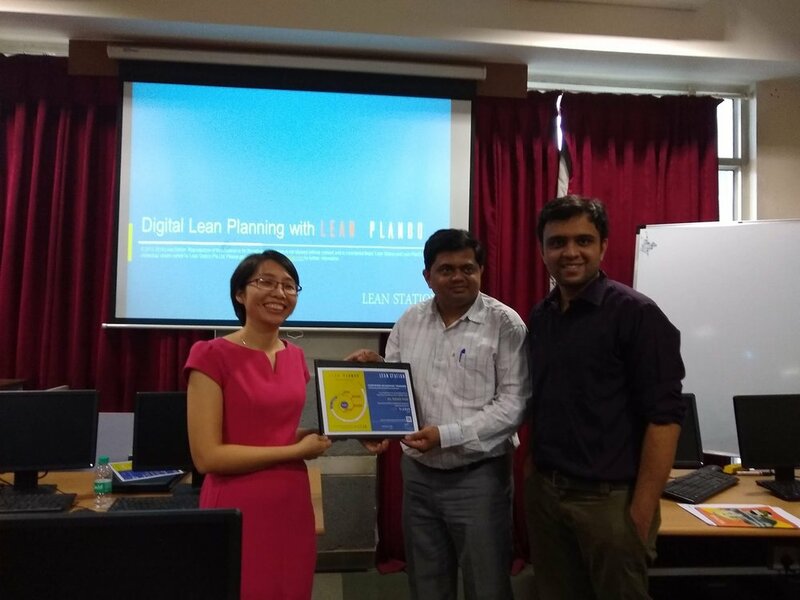 National Institute of Construction Management and Research (NICMAR) India and Lean Station, Pte Ltd. Singapore, announced the beginning of a new journey into Digital Lean Planning and Collaboration in the Indian construction market to bridge a gap between project planning and site execution. Decoding Construction: fractal by nature? While working with construction projects to improve its productivity, we have dived deeper into the fundamentals of its functional code to understand the nature of how it behaves for being able to accurately predict or influence its outcomes. Without understanding the fundamental code of construction, the changes will not be long term nor will it be effective intrinsically. At Lean Station, we have spent years systematically capturing data from many kinds of projects and companies to analyse it scientifically. This has strengthened our understandings of the fundamental aspects of construction and in bringing about a positive change. Its an established fact that planning is a central function in construction and has a major influence on its outcome. When we consider the important factors that affect construction, the following categorisation gives a much needed perspective. While construction is a systematic series of events in its entirety; it is influenced by each and every person involved in it, some having a larger effect than others. Construction appears chaotic,, but is not a chaotic event, there is an order in chaos at its micro levels. By getting the people involved to plan for their individual work at smaller timescales, it collectively adds up to a productive outcome to the project. Its a complex system with many works, triggers of variance and many kinds of dependencies for all these work. However, irrespective of its complex nature the fundamentals can be controlled with planning. Here is a perspective on this, an article influenced by the fundamentals of nature. Nature, and life have their own codes and these codes influence every aspect that we see and experience. Understanding the nature’s code has been a fundamental area of research in science as well as a spiritual journey that the two schools of thoughts carves out deeper pathways into understanding itself. 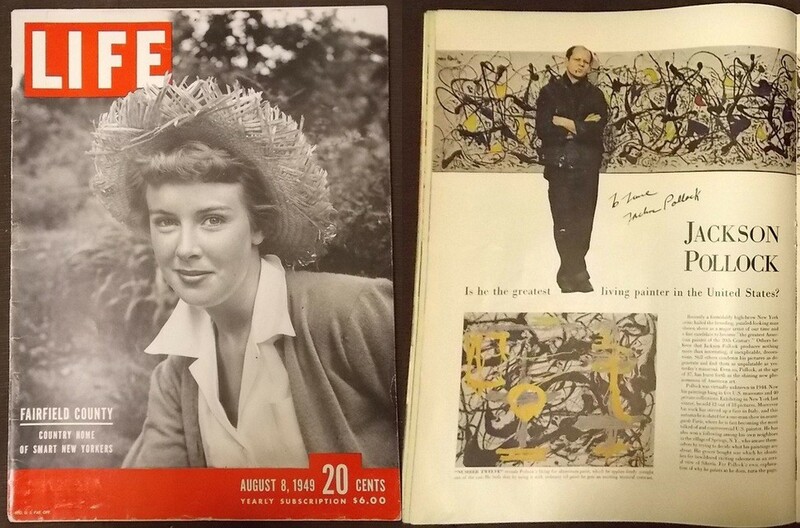 Jackson Pollock, was an arrogant, disillusioned, drunkard painter of influence. He was a major figure in abstract expressionist moment. He popularised an unique style of drip painting. 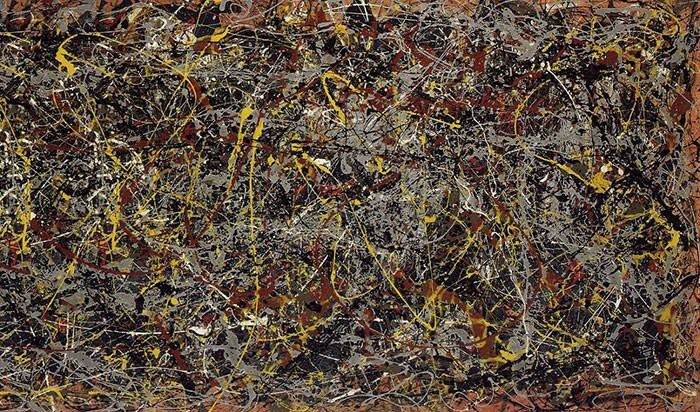 One of his most famous paintings, called Number 5, in 1948 was the most expensive painting sold for $140 million to an undisclosed buyer. It is a prime example of the art he created. How different are these from the painting? Do you see any difference in complexity in these painting apart from the size of the images? 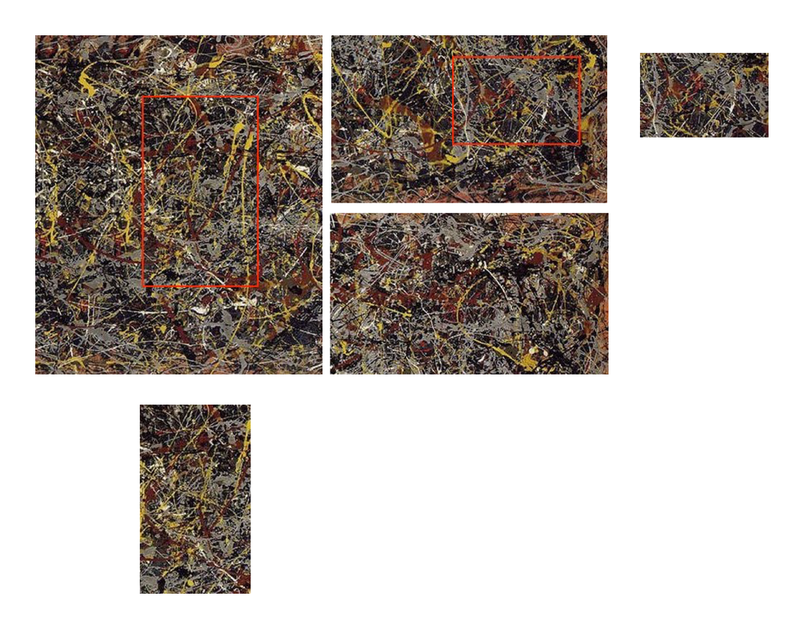 These are parts of the larger painting that is extracted out and presented as individual images. When this painting is hung on a wall and a viewer views it from 10 meters away or from a 10 centimeters away, the painting would look more or less the same. All the complex patterns at different size scales look the same, which means that the smallest part of the painting has the same level of detail in its size and scale as that of the larger painting itself. This is a property known as fractal. The fractal quality of his work appeals to us because despite seeming abstract, it actually mirrors the world around us. While the growing tree follows these rules, they are also influenced by other unknown-unknown natural variability like wind, seasons, or a monkey breaking a young branch, which is why it turns out the the way they are. However, it is primarily influenced by the rules of growth and not by the other natural variations. The unknown-unknown have effects, but the major influence is due to known-known and how well known-unknowns are handled. The idea that the fundamentals aspects of nature are governed by rules of that of a fractal was pioneered in 1970’s by Benoit Mandelbrot. 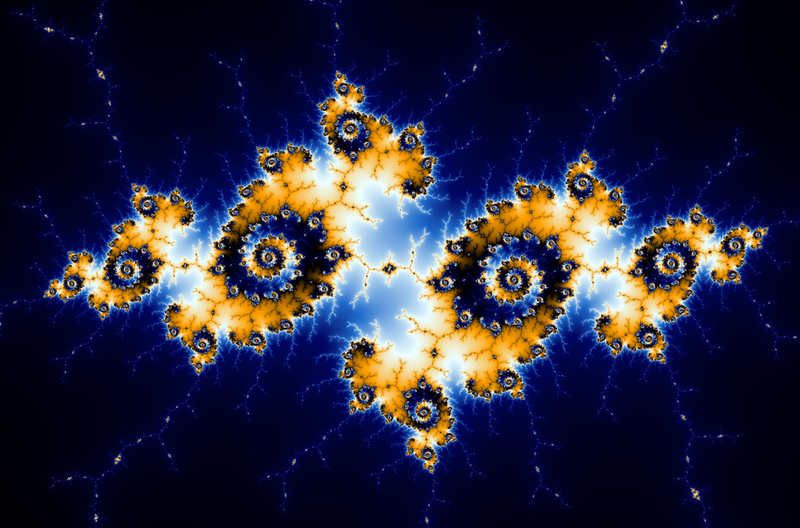 He created the Mandelbrot set — which are mathematical algorithms to create a fractal digitally. Construction, from its fundamental nature is fractal. The overall complexity is the same whether looked at from a micro (weekly) view or from a macro (overall) view. What transcribes over the weeks has deterministic effects on the full scale project timeline. The effect is more often not realized as it is not measured with great accuracy and sometimes ignored leading to undesirable outcomes in the project. For one to influence a construction project’s outcome, it becomes essential to understand its fundamentals — the rules that govern them at a micro level. Why are the rules important? The rules are fundamental steps which guides the project weekly until it is completely executed. The rules are often influenced by external factors like weather and unforeseen situations just like the trees, but the main deterministic factors whether the project reaches a fruitful outcome are not the external factors, but these simple rules and how well they are followed by the people. Who are the people? All the people involved in the project are governed by these rules. Each of them have specific objectives and are deterministic outcomes — which when followed in a systematic way at a micro level— will result in a desirable outcome at the macro level — a beautiful fractal project. Let us consider a construction project, a complex one — probably a construction of a factory that comprises of excavation, piling, structure — with both concrete and steel, heavy mechanical, electrical, plumbing works, architectural works including plastering, tiling, glass works, interiors, finishing works including facade works with a specialized fire proof timber canopy. Design timeline of around 8–10 months, construction timeline of 20–25 months. The biggest challenge in executing the construction works is not the work itself, but the flow of work among all these works — a large site, with around 500–800 workers working in multiple shifts, supervisors from multiple sub contractors, heavy trucks carrying heavy concrete, precast or rebar materials, 6–8 tower cranes at the site, along with heavy-duty mobile cranes for material lifting. Its a nightmare to manage the safety and manage all the work from the workers in such a dynamic environment where the work at the site keeps shifting day to day, week to week. The flow determines everything — whether the work at a location will be completed on time, will it be handed over to the next party on time, will the work be carried out safely without any incidents, will the project end on time? will it be done according to the budget ? and so on. These question play on every developer’s mind, every contractor’s mind? You may ask — All this is correct, so, what is your point? what are the rules you are talking about? 500 complex tasks / 5 days = 100 tasks / day i.e,100 micro-complex tasks a day. If there are simple set of rules to manage the flow of these 100 complex tasks in a day, to make the day productive, it is possible to make the project productive by repeating these set of rules every day for 25 months. This opens up the possibility of achieving more than 100 tasks in a given day with the same set of workers and machinery by simply removing the wastes between the tasks, by establishing a smooth flow between these tasks. This is the fundamental aspect of Lean PlanDo. Sounds great but, what are the rules? Presenting Lean PlanDo, a method and system of Lean planning and collaboration. Step 1: Put these 500 tasks in a basket called “Should do”. Aptly called so, “Should do” are those that are dynamically planned to be completed every week. If they are not completed, these will have to be taken up next week pushing the number of tasks for next week up. Further, if not completed in following weeks, it may push the project out of the time frame originally committed to. Considering only those works that can be done will give the practical perspective to everyone on the amount of work that can be achieved in the week. The remaining works have prerequisites or technical constraints which needs to be identified clearly and tackled first before starting the work. The technical constraint identification surfaces out the key issues that needs to be tackled before a smooth flow. Let’s say, in our example only 70% of the “Should Do” can go into “Can Do”, i.e, 350 tasks in the “Can Do” basket. By getting the actual people doing the work to commit for their work — there is an increase in the ownership and accountability levels from the sub contractors. The overall responsibility might lie with the main or general contractor, these subcontractors have the knowledge of the site in much more detail — it is essential to gather this knowledge and use that to plan the site. Gathering the reasons of why something will not be done is critical to understand the site challenges like labor, access, material or equipment that needs to be tackled to get a smoother flow for the remaining works. These reasons become the site constraints which help in converting the will not do to will do. Of the 350 tasks in “Can do”, let’s say the subcontractors can commit for only 70% of the work, i.e, the “Will Do” is no 245 tasks. Step 4: Put the completed works from the “Will Do” into a “Did” basket. Internal factors and external factors play a crucial role in determining whether the committed tasks gets completed or not, but these internal reasons are those constraints that got missed or new ones created which affected the work at the site. Identifying these new or missed constraints and the underlying reasons (or motivations) for missing out these constraints determine how productive the project would be. In a good week, around 80% of the work should get completed from “Will Do” to “Did”. i.e, 196 tasks in the Did basket at the end of the week. Now, you must be thinking, if only 196 tasks are in “did” of the 500 in “Should do” i.e, 304 tasks moved to the next week due to not being completed on time, how will this rule set be productive? Step 5: Analyze why or why not the remaining tasks did not get completed and identify the next steps for each and every task. Arrive at a list of “Cannot do” tasks with a list of technical constraints, Further, arrive at a list of “Will not do” tasks with a list of site constraints and finally arrive at a list of “Did not do” with a list of missed constraints. These lists comprise of the list of constraints that needs attention and assign them to accountable people for ensuring the smooth flow in these sections of the works. There also needs to be metrics to measure the improvements of these efforts in identification of the constraints and its resolutions on a weekly basis — a metric called the constraint resolution level. Another metric that is critical to measure is the site readiness level to indicate how well the preparation has been made for the work to begin as planned. Further another metric is needed to measure the commitment level of the sub contractors, how well are they keeping the promises. [This metric in traditional Lean construction terminology is called Percent Plan Complete or PPC]. The one metric that rules these other metrics and at the same time dependent on these metrics is called Construct-Plan Reliability (CPR). It is a measurement of percentage of overall tasks in the did basket to the overall tasks in the should do basket — to measure how many of the tasks were completed from those that should have been completed? This is a metric, a construct that gives an overall perspective week on week whether the fractal is taking the originally planned shape, or in this context the reliability of the plan and how well the plan is being executed. Here we see a predicament that in spite of 80% PPC (commitment level) we are only completing around 40% of the required work in the week. The challenge is not commitments, the biggest challenges are upstream — the technical constraints and the site constraints that needs to be addressed well before the commitment can be improved further. The constraints needs to be tackled to improve the flow for the construction fractal to form. Lean PlanDo thrives in this area of constraint management. Step 6: Identify the root cause or the root constraint and eliminate them at the root level. It now becomes essential to not just address the reasons why a task cannot be or will not be done, but also address the underlying reason or the motivation for these reasons to surface. The reasons for a reason for a reason, two, three or sometimes even four levels down. This surfaces out the root cause — which once tackled will shape the fractal just like how we planned it —productively. We wrote a research paper on this, and published it in a leading publication for Lean construction called the International Group of Lean Construction (IGLC) conference in Chennai, India in 2018. These steps are an integral part of Lean PlanDo and we endeavor that all projects and companies we work with develop a deeper understanding in these metrics and use these metrics to construct the construction fractal. We present these as important metrics in the Lean PlanDo Insights for the project management team to pinpoint the critical issues weekly and to work out the steps to tackle them in a systematic way using the processes and workflows defined in Lean PlanDo. We feel this is the beginning of the true digital construction movement with our tools becoming truly insightful and meaningful and companies becoming open about using such tools for their own improvement. The need to improve is growing big and times are changing fast. Have you considered your project using Lean PlanDo for constructing a beautiful fractal of a project?